Sat 2nd April at 7:30pm Maleny Community Centre- music quintet Topology will appeal to everyone who enjoys accessible, adventurous, original music by consummate musicians. Tickets $40, $35 (members) $15 (students). Tickets from Maleny Bower Bird, Montville Pharmacy or at the door. Sunday morning 3rd April from 10am- Maleny Community Centre- vocal and instrumental duo Cloudstreet – a show suitable for all ages – great harmonies, engaging stories and excellent musicianship. Tickets $10 or $15 families. Tickets from Maleny Bower Bird, Montville Pharmacy or at the door. Sunday afternoon, 3rd April 2:30pm Braeside B&B – 305 Stanley River Rd, enjoy afternoon tea while listening to a staged reading- ‘Sound, Scenes and Sense – When the Words Make the Music’ presented by four renowned actors from the Sunshine Coast Region. Tickets $15 from Maleny Bower Bird or Montville Pharmacy – must be pre-booked. Friday 8th April 7:30pm Maleny Community Centre “Loop the Loop” showcases amazing multi-instrumentalists Gene Peterson and Adam Page in a G-rated, often hilarious, musical ‘battle’ Tickets $30/$25(members)$15 (students) Tickets $10 or $15 families. Tickets from Maleny Bower Bird, Montville Pharmacy or at the door if not sold out. Sunday 10th April from 10am Maleny Community Centre - young guitar masters Hunter Van Larkins (Ross Hunter and Owen Van Larkins) showcase their wonderful musical synergy and inventive original guitar duos. Tickets $10 or $15 families. Tickets from Maleny Bower Bird, Montville Pharmacy or at the door. Sunday, 17th April 2pm Maleny Community Centre - Amadeus - 4MBS Classic Productions present a rehearsed reading of the award winning play pitting court composer Antonio Salieri against musical genius Wolfgang Amadeus Mozart. Tickets $15 from Maleny Bower Bird or Montville Pharmacy. Saturday 30th April 7pm Maleny RSL the Festival is rounded off in fine style with a return visit by the ever-popular Caxton Street Jazz band. Tickets $30/$25(members) from Maleny Bower Bird or Montville Pharmacy. Licensed. Bring your own nibbles. National Youth Week 2011 is set to be Australia’s biggest youth event, with events taking place all over the country from 1–10 April. National Youth Week 2011 will celebrate young peoples’ views, ideas, participation and creativity and promotes them to the broader community. 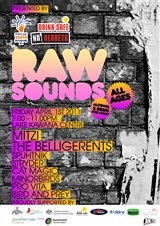 Raw Sounds is launching National Youth Week festivities here on the Sunshine Coast on 1st of April at Lake Kawana Community Centre. Headlining the night are Sunshine Coast favorites Mitzi and The Belligerents, supported by local bands Bird & Prey, Pro Vita, Minorbirds, Stryder, Spuhtnik and Cat Magic. Raw Sounds will also play host to a photographic exhibition of 10 of the Sunshine Coasts talented young photographers. Their work will be displayed on a 14 foot inflatable cinema screen on loop throughout the night. Mooloolaba has long had a link with New Zealand's South Island with hundreds of South Islanders, largely from Christchurch, regularly enjoying our area as a place to literally "swap climates" and enjoy great weather in what is normally their Winter. Many of these Kiwi guests have been holidaying on the Sunshine Coast for many years and the recent earthquakes in Christchurch have obviously made this impossible. The thought of losing not only their homes as well as in many cases their jobs and workplaces is no doubt very daunting for all the families involved. The Mooloolaba accommodation group has decided to "put the hat around" and as a result have managed to provide around 150 room nights which are to be auctioned online, with all the proceeds going to theChristchurch Earthquake Appeal. 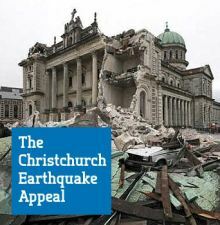 Visit www.auction4christchurch.com and bid. From 17 - 20 March, the Heart of Gold International Film Festival will combine the genuine warmth and hospitality of a country town with Local and International films that are entertaining, thought-provoking and express a positive view of the world and humanity. 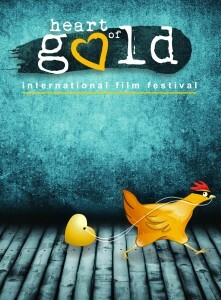 Entering its fifth year, Heart of Gold is quickly establishing itself among the best competitive short film festivals in Australia. The Festival is in the regional Queensland city of Gympie, just over an hour drive north of Mooloolaba along the Bruce Highway.